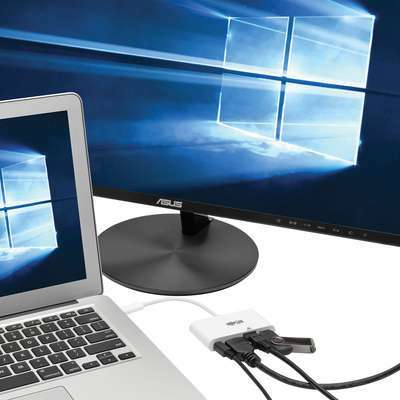 USB 3.1, generation 1 USB-C to HDMI 4K adapter expands the potential of your tablet, laptop, Chromebook, MacBook, smartphone or PC's USB-C or Thunderbolt 3 port. Plug-and-play technology makes installation quick and simple - with no software or drivers to install. Fumble-free, reversible USB-C plug connects in either direction for a quick connection every time. 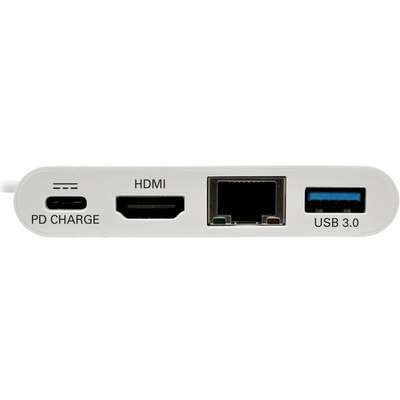 To send digital audio and HD video to an HDMI TV, projector or monitor, connect the HDMI port to the display using an HDMI cable (sold separately). The HDMI port supports UHD video resolutions up to 3840 x 2160 (4K x 2K) at 30 Hz. 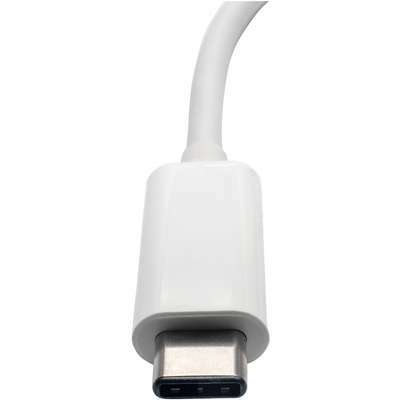 Adapter is perfect for transmitting digital audio and 4K video to a large display, adding a thumb drive or other USB peripheral, powering and charging a PD Charging-compliant mobile device, and connecting to a Gigabit Ethernet network all at the same time.